LOS ANGELES - The last time teachers went on strike, back in 1989, Alejandra Delgadillo was a fifth-grader at Trinity Street Elementary School. 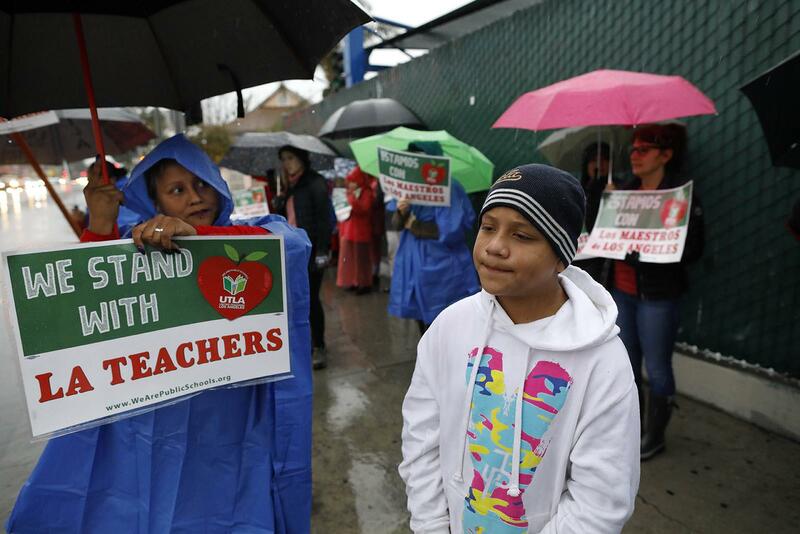 Still, Delgadillo was among the first to join the school's picket line this week, and she arrived loaded with paper cups, juice, doughnuts, pretzels and a canopy to guard teachers from the rain. "This school means so much to me," she said. "It's not about the old buildings. It's about all the people who work so hard every day inside those buildings."